Brady Stearns of St. Cloud, Minnesota, never thought he’d see a 900 series, let alone bowl one of his own. Now, he’s happily wading through a flood of congratulatory messages after becoming the latest bowler to roll 36 consecutive strikes in United States Bowling Congress-certified competition. 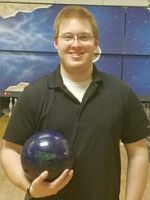 The 23-year-old right-hander tossed three perfect games Tuesday in the City league at St. Cloud’s Southway Bowl to join Darin Pomije of New Prague as the second bowler from Minnesota to achieve the score. Pomije recorded his 900 series in December 2004. Stearns treated the night as a series of hurdles, rather than focusing on the end result – 900 – and that seemed to keep the nerves at bay. After starting the night with the 18th perfect game of his career, Stearns kept striking and started to think about back-to-back 300s, something he’s never done. As the strikes added up, his attention turned to the center’s strike jackpot, but he still didn’t let the idea of 900 creep into his mind. Stearns did go to work Wednesday to assume his role as the manager at the local Little Caesars, but he felt a little different after all, more so as the messages rolled in and the magnitude of the accomplishment continued to sink in. It also turns out the owners of the store he manages are bowlers and both were at Southway Bowl to witness his success Tuesday night. They support Stearns’ passion for bowling and allow him to have weekends off to compete, which he has done for the last few years alongside some of Minnesota’s top performers. Stearns specifically mentioned the likes of Dan Bock and Chad Nelson, whom he recently accompanied to the USBC Masters in Las Vegas, an event that is proving to be a turning point in his own bowling career. “I bowled in the Masters for the first time, and even though I didn’t cash, just getting that experience and watching all the great bowling really showed me what it takes to succeed at that level,” said Stearns, who finished tied for 237th place in a field of more than 390 competitors. Following his 15 games of qualifying at the Masters, Stearns got some feedback and advice from Professional Bowlers Association Tour star Bill O’Neill, whom he’d crossed with all week at The Orleans Bowling Center. Having some of the best bowlers, both locally and nationally, in his corner helps reinforce the lessons Stearns learned from his father, Bob, a former PBA Tour player, who was part of the team that brought Southway Bowl into existence in the early 1970s. Bob taught Brady and his brother, Scott, how to bowl about 10 years ago, and Brady has worked hard to get better. The 2017 Masters, and the confidence and success that have followed, have Stearns more motivated than ever. However, he’s not quite ready to give up his day job. “I’ve been fortunate to be able to bowl with some great bowlers the last few years, and it definitely has helped me improve,” Stearns said. Stearns’ achievement is pending approval from USBC and would be the 33rd USBC-approved 900. It marks the fourth perfect series of the 2016-2017 season and third of 2017. The first USBC-approved 900 occurred Feb. 2, 1997 when Jeremy Sonnenfeld rolled three consecutive perfect games in Lincoln, Nebraska. For more information on USBC records, click here. 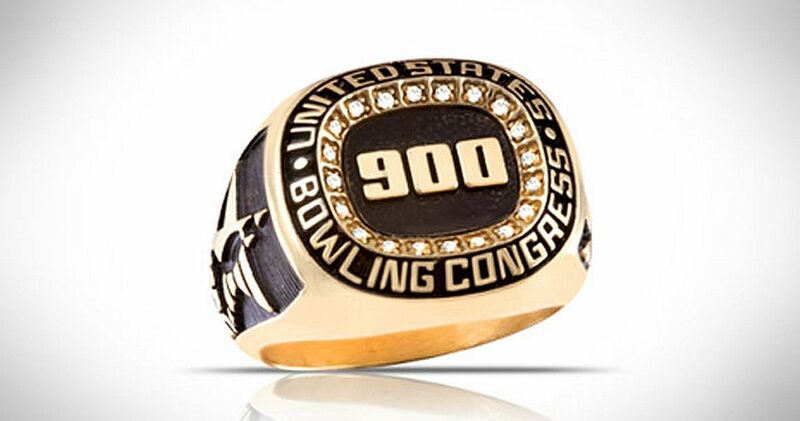 ** Pending formal approval by the United States Bowling Congress.